Dr Steve Melia lectures in transport and planning at the University of the West of England, Bristol. He has been a parliamentary candidate, environmental campaigner (who set up the Living Heart for Bristol) and freelance journalist, writing and speaking on transport in cities. He advised two government departments on how to achieve more sustainable transport in the Eco-towns programme and the Olympic Legacy Company on the transport planning of the London Olympic Park. The ideas behind his new book, Urban Transport Without the Hot Air, began over three summers when he cycled over 5,000 miles across seven European countries, studying cities making progress on transport problems and the urban environment. His interest in sustainable transport began as a teenager, when he drove through a red light into the side of a van from the Police Accident Prevention unit: he lost his licence and bought a bicycle. 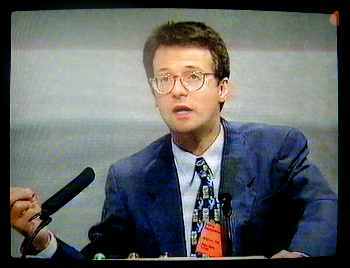 In 1997, he stood as a Liberal Democrat candidate, but became disillusioned with party politics and turned to environmental campaigning. His first major campaign ran for ten years and succeeded in reducing the scale of greenfield building originally planned for rural South Devon. Preparing for inquiries and other planning events sparked his interest in the challenge of sustainable transport: how can towns and cities grow without generating more traffic? His journeys across Europe began with his PhD in 2005, studying carfree developments across Western Europe and the potential for them in the UK. The cities he visited in Germany, France, the Netherlands, Denmark, Sweden, Belgium and Switzerland suggested many of the solutions discussed in this book. They also led him to question much of the conventional wisdom in Britain on issues like shared space, street and cycle path design, “family housing” and the potential for public transport to shift people out of cars: the urban myths debunked in the first part of this book. Campaigning against greenfield building, while living in a village in a national park led Steve to the uncomfortable conclusion that “I had been part of the problem”. Studying transport and climate change led him to stop flying in 2005, followed by a move to a flat in a city, where he now lives without a car. The challenges and dilemmas of ‘trying to walk the talk’ are discussed in the final chapter of this book.